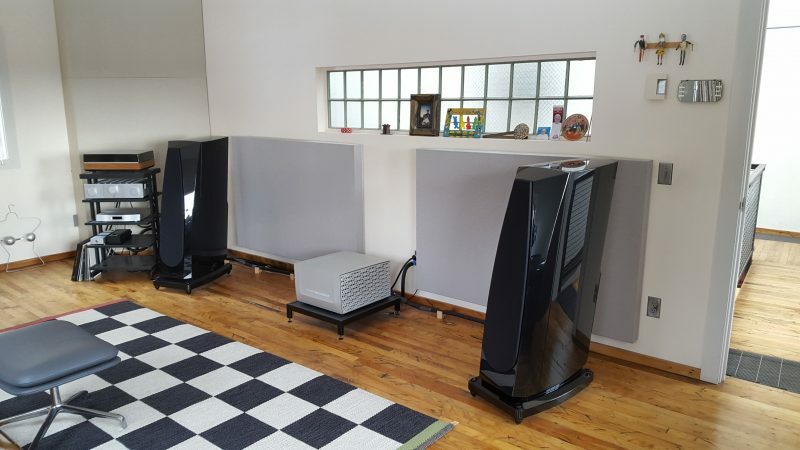 We recently completed a project to improve the acoustics of a two channel listening room for a audiophile in MA, USA. This music lover has a high-end music system that includes Rockport Avior speakers and a Constellation Centaur stereo power amplifier. 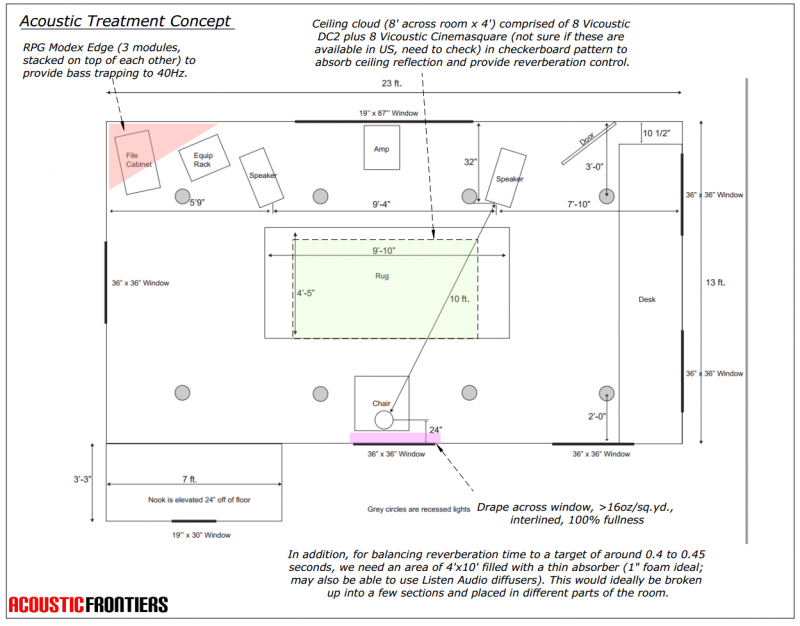 As the client did not have a room acoustic measurement system, we sent our easy-to-use kit, which does not require installation of measurement software on a computer. 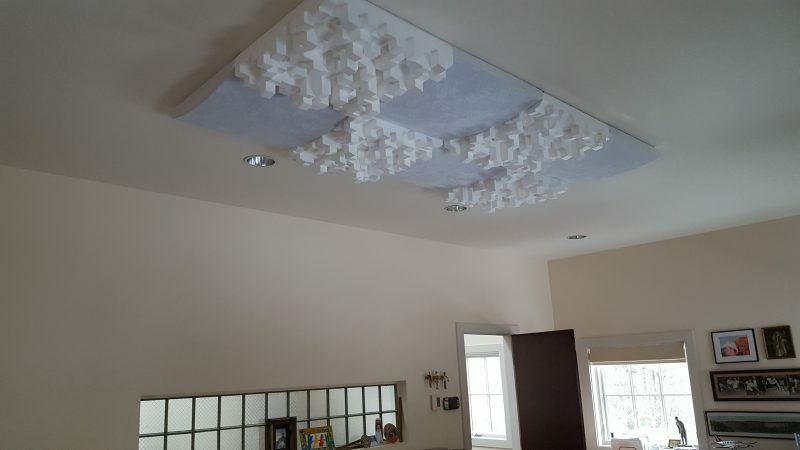 The project followed our standard process for two channel listening rooms that have already been built: Room Acoustic Analysis followed by Acoustic Treatment Design. We used a combination of RPG and Vicoustic acoustic treatments including a 50/50 mix of DC2 diffusers and CinemaRound absorbers on the ceiling as well as two Modex Edge and two Modex Broadband bass traps. The Modex Edge is a multi-compartment Helmholtz absorber, and the Modex Broadband is a damped steel plate bass trap. 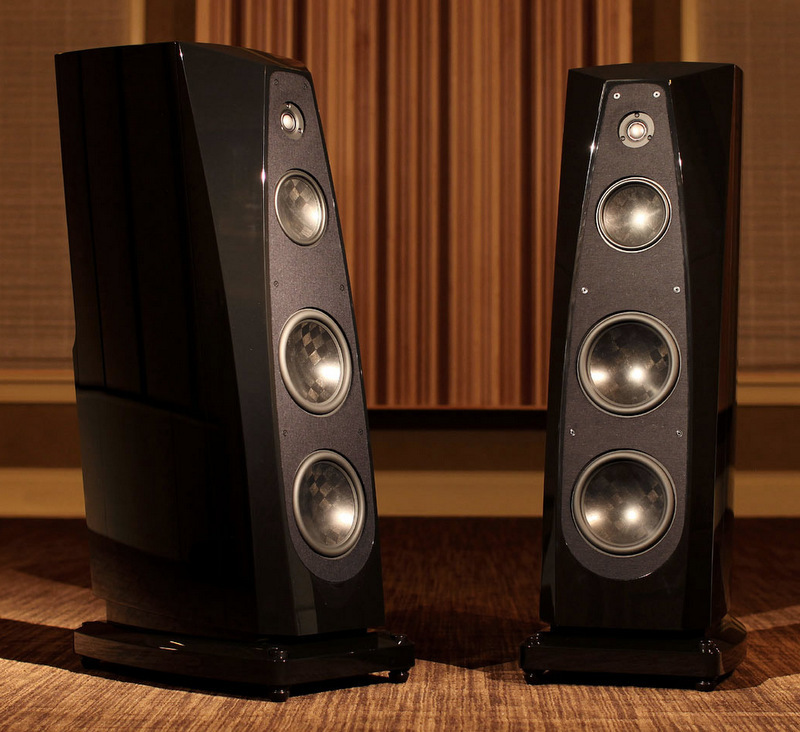 Both offer state-of-the-art bass trapping performance for high performance music reproduction spaces.